From the perspective of being nutrient-dense, firm tofu or extra-firm tofu has a higher calcium content than silken tofu. However, the latter offers a silky texture that is velvety and always perfect when cooking dishes such as Mapo Tofu, Soft Tofu with Mushrooms and Chicken, Chinese Hot and Sour Soup, Green Tea Miso Soup. 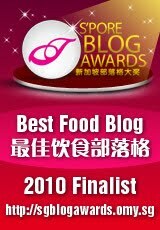 I used to enjoy silken tofu a lot due to its super-soft-melt-in-your-mouth texture and still do; but with time, I find myself appreciating firm tofu much better. Their firmer texture makes them suitable for stir-fries, stews and braises which are what I often do; and pan-frying or roasting/baking before adding them to stir-fries and quick-stews imparts a better "smoky" flavor. 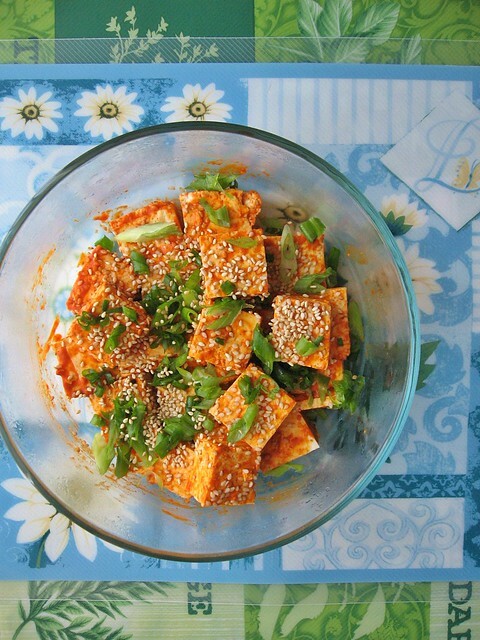 Previously, I have pan-fried (you can roast/bake as well) firm tofu and made Korean Spicy Tofu. 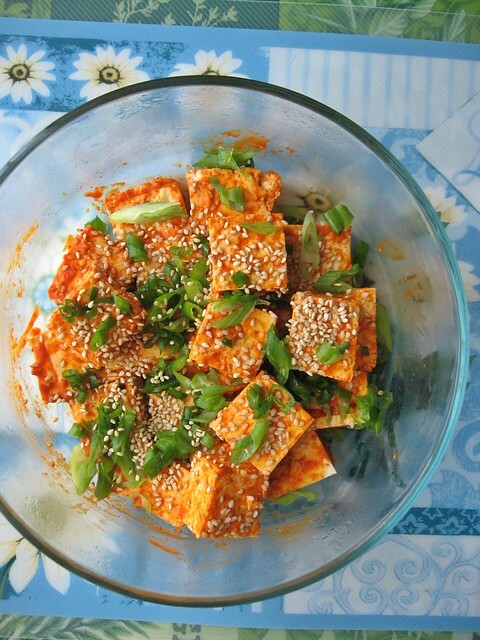 Today, this is a fuss-free take on the same Korean spiced tofu dish, without the pan-frying step. It is definitely a quicker sweat-proof way to make a very appetizing side-dish especially during the hot summer days. Directions: Sprinkle the red chili powder over the drained firm tofu. Slowly mix in the dressing/marinade and ensure even coating on the tofu. Keep it air-tight container and marinade for at least 30 minutes. Before serving, sprinkle with green onions and sesame seeds.